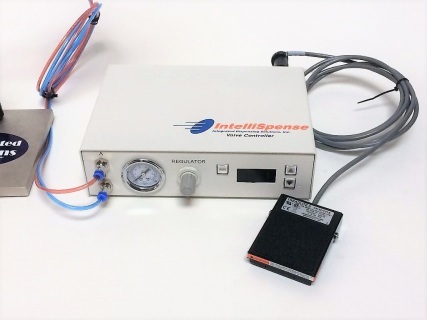 The 7052250 Micro Metering Valve with Micrometer Adjustment is a true positive displacement metering valve capable of dispensing small volumes of material for applications requiring a high degree of accuracy and repeatability. 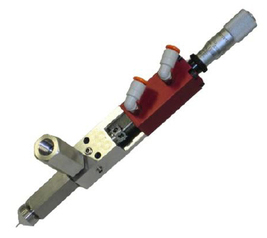 Dispense volumes are determined by the valve’s micrometer adjustment setting which regulates the travel of the displacement rod. 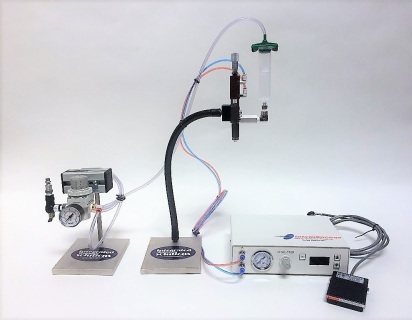 The benefit of using positive displacement technology is the dispense volumes cannot be altered by variations in viscosity or material pressure thus eliminating variables that can alter a process. 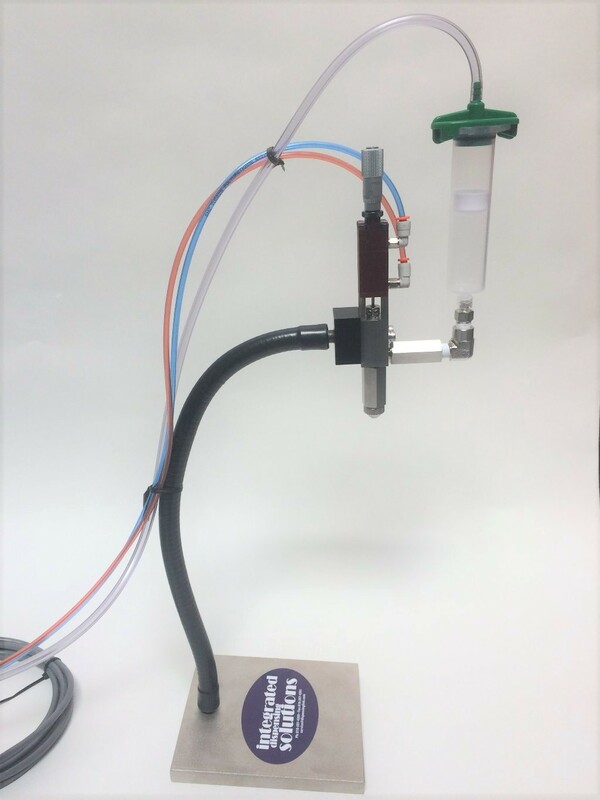 And, with a lightweight, slim design, the valve can be integrated into manual dispense systems or fully automated platforms. 0.0001 cc to 0.0120 cc shot volume per cycle. Adjustable micrometer permits shot size modification. 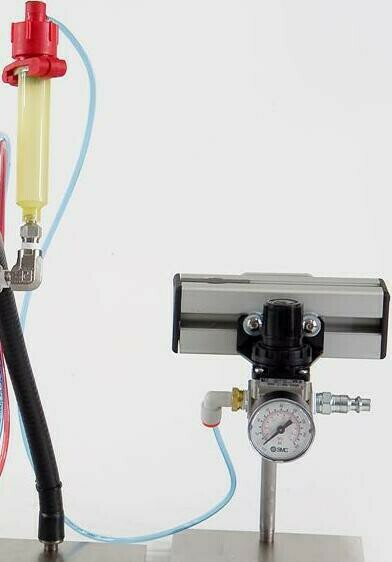 Precision inlet and outlet check valves provide precise metering. Longer seal life with new O-ring & packing design. Bleed ports on fluid section for purging. Nozzles available in Stainless Steel or Ceramic. The 5900011VC controller is suitable for IntelliSpense™ valves and including Micro-Mini Valve, Front Closing Valve, AMD Diaphragm Valve and Pinch Tube valves. ​The 7052250 Positive Displacement Dispensing Valve (0.0001 - 0.012 cc) is intended for use with low to medium viscosity materials. The full system includes a valve controller with foot pedal trigger, the valve and valve stand and syringe adapter reservoir.These valves are steel and are not suggested for use with CA (Cyanoacrylate) material. ​Contact IDS with questions, and always double check your compatability. Intended for high accuracy micro dot deposits. Not intended for drawing lines. Customer to specify needle gauge size when ordering.